Recruitment specialists are warning that the recent Government crackdown on false self employment could be a breach of the Human Rights Act. Trade body APSCo will write to Whitehall this week warning that legislation introduced last month could leave the Government open to a legal challenge. The recruitment body fears the changes expose its members to great a risk in the complicated world of construction payroll arrangements. 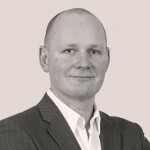 “The legislation does include a defence for recruitment firms against the provision of fraudulent documents by other parties in the supply chain, but we believe that this is a red herring as the reality of this situation is that the onus would be on the intermediary to prove not only that fraud had taken place – but also that there was an intent to defraud. “We will be writing to The Treasury outlining not only the concerns summarised above but also the fact that not providing for a statutory defence poses a major legal risk for the Government itself – a risk which is entirely unnecessary.